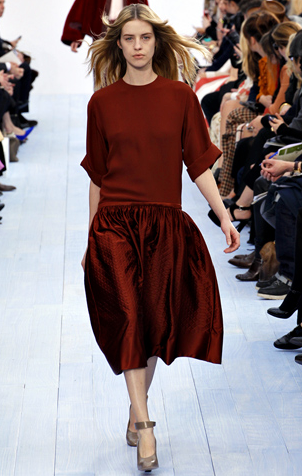 From burgundy to bordeaux, red wine tones are dominating the colour trends this Autumn/Winter. Seen all over Fashion Week, shades of red in various fabrics create a dramatic and glamorous look for an instant autumnal wardrobe update. Check out the catwalk images below for inspiration and then a few fabulous finds on the High Street - all ready and waiting for you in stores now! A printed jacket is a great way to make a plain outfit exciting and keep warm during the transitional months! 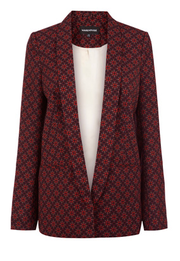 Tile print is going to be huge this autumn, so welcome the fun trend with a printed blazer for casually cool look. Ultra feminine and form fitting, this beautfully draped dress will give you a classic but contemporary look that will become a staple in your closet. The colour and texture of this blouse is effortlessly fashion forward and chic. With a 60's feel, this catwalk inspired item is super stylish and such a great price too! 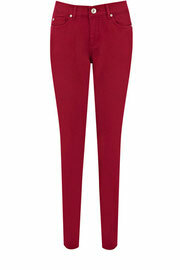 The 'Cherry' skinny leg style from Oasis has been brought back in for autumn in a range of fab winter colours. 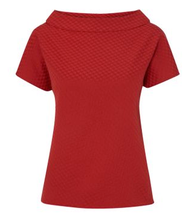 With it's great fit (not too super skinny) they offer an instant wardrobe update in this gorgeous deep red tone. Brighten up a plain outfit and create curves with this bold red skinny waist belt. Remember, don't over-do it on red accessories - one red item is enough! 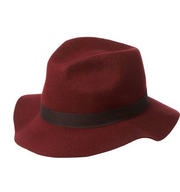 Add a sophisticated twist to your outfit with this chic felt hat. 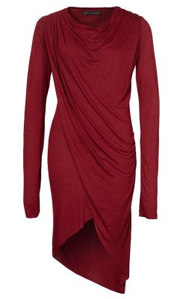 It's a versatile piece in a deep red wine tone that will bring the plainest of outfits up to date! 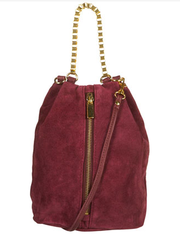 A warm berry shade and edgy chain detail subtly work the trend and add impact to a minimilistic outfit. Go on, treat yourself to a new bag for the start of the season!